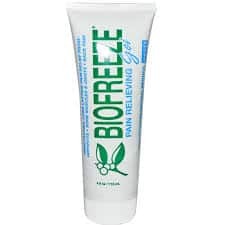 Click here to request for a free sample of Biofreeze Pain Relieving Gel. Just fill out the form. Please allow 6-8 weeks for shipping. Does not let me submit… Does nothing at all !!! We have reached the maximum limit of FREE Biofreeze sample requests for today. Sample fulfillment is based on supply, so please check back to see if more samples become available. No more samples left but they still take your info for a “participating practitioner”.